Acumen Disc has a copy system that fits your needs. 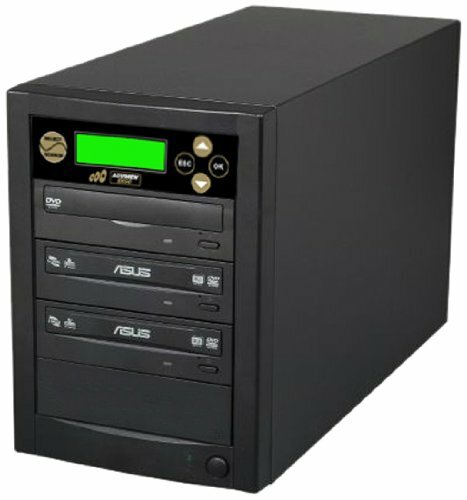 This Duplicator unit features Asus burners for writing blank media discs with a reader rom for master disc. Duplicator that can easily backs up your digital files including photos, music, documents, data, and more. 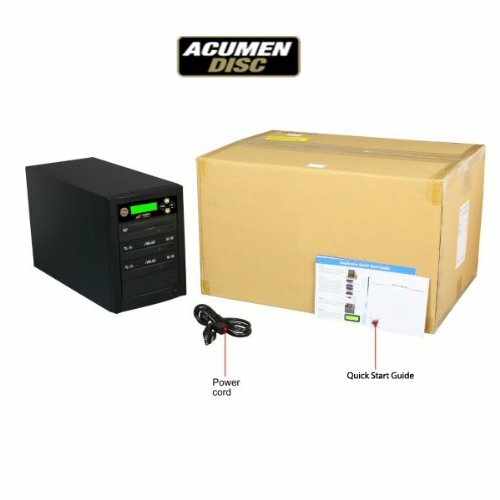 The professional duplicator from Acumen Disc does it all at lightning speeds up to highest level for DVD burning. No computer or software needed, no setup required, and no confusing buttons to push, it automatically starts and finishes the job. 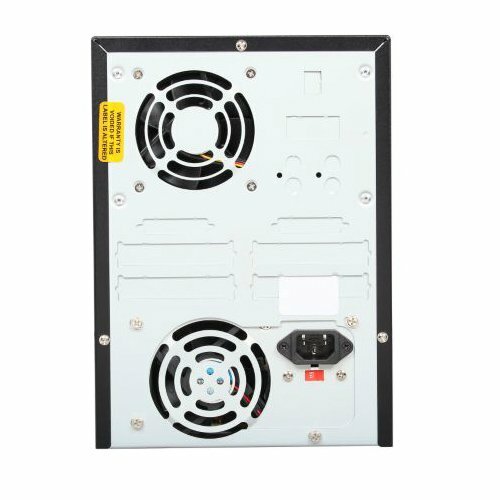 The LCD display panel is an easy read display with 2 line. Our Duplicator are a reliable, professionally built system that is easy to use. All you need to do is putting in the discs. Accessing, storing, and sharing digital files has never been this easy and fun. Disc duplication doesn't have to break the bank or tie up a computer. This 1 reader with multiple burners duplication system that is designed for users who need to do multiple copies with the needs to get jobs done in short amount of time massive.